Brooklyn Hood Cleaning Pros is a locally owned, certified, licensed, and insured restaurant hood cleaning company serving the greater Brooklyn area and the surrounding neighborhoods. 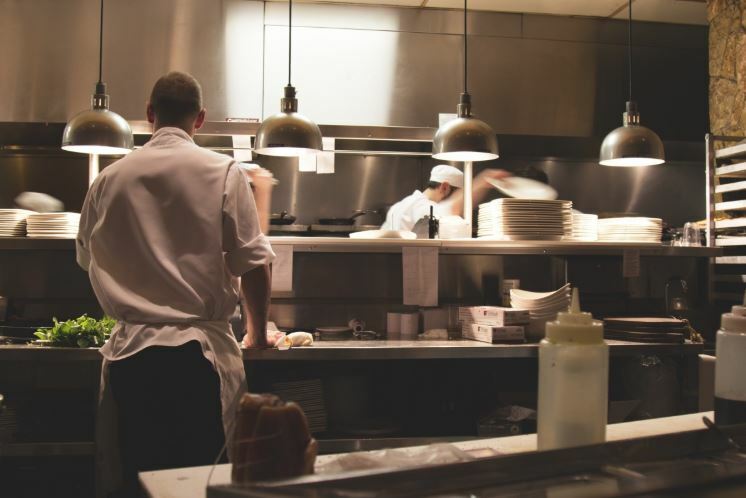 With over 15 years of experience in the commercial food-service industry, we are committed to helping you maintain a profitable business by taking care of all your restaurant sanitation needs from kitchen hood cleaning to exhaust system repair. If you own a commercial kitchen or a restaurant, you’re probably aware that it’s a mandated requirement to have your exhaust and vent hood cleaned regularly. This regulation reduces the risk of a fire, increases the safety of your staff and patrons, and helps you avoid stiff penalties from the local health & safety board for violations. Our commercial kitchen hood cleaning services are the best in the borough, hands down. We’ve got a unique group of skilled technicians that have years of hands-on experience and countless hours of training on local, state, and federal health and safety regulations, including NFPA 96 and laws related to fire prevention. You may have seen us on the local news or even featured in the NY Times. We’ve gotten a lot of great press based on the quality we provide and the vast number of businesses we serve. We also have a huge supply of 5-star reviews and testimonials behind us which demonstrates that we love what we do, and we’re damn good at. ​Wherever you are, you’ve got a commercial kitchen. It’s loaded to the brim with expensive equipment that you use to cook meals for your customers. And, your vent hood or kitchen exhaust is acting up. ​It might be dirty hood filters, a broken extractor fan, or maybe you need an emergency exhaust repair. Whatever the case, our certified hood cleaners can take care of it – maintenance, servicing, installations, whatever you need. ​Am I close on that? If so, call the top restaurant kitchen hood cleaning service in Brooklyn now at (347) 492-1153. When you do, give us a few seconds to pick up the phone because it's always ringing off the hook. We’ll be right with you. We’ve given you a lot of information in a short time frame, so take a moment to browse our site and please let us know if you have any questions. Feel free to give us a call or reach out using the form on this page. We’re excited to chat, and we look forward to working with you. When looking for a restaurant hood cleaning service in Brooklyn, NY you want professionals you can count on. We at Brooklyn Hood Cleaning Pros are committed to ensuring that you get the highest-quality service possible. You can count on our well-trained, experienced technicians as we’re here to stay. Our local experts near you follow NFPA 96 guidelines and you can rest easy knowing your commercial kitchen is safe from grease build-up and fire. Their level of hands-on experience and knowledge of local, state, and federal regulations allows you to take a step back and relax a bit because we take care of everything for you. We both know that your health inspector won’t hesitate to make you close your restaurant doors to the public when an inspection reveals that you’re not cleaning your kitchen hood system appropriately. Furthermore, your insurance company may not cover any damages following a kitchen fire if you haven’t been keeping up with regularly cleanings and maintenance. It’s important that you leave this task to a reputable, professional hood cleaning company. Whether you want our team to thoroughly inspect your hood and exhaust system, take it apart, and determine any issues before making the necessary repairs, or simply clean it on schedule, we are ready to help! Of course, you want to know everything we can offer you, don’t you? Well, in addition to restaurant hood cleaning and repair, we offer other sanitation services, including pressure washing restaurant and kitchen floors, sidewalks, loading docks, and more. We can also sanitize your kitchen equipment, clean the dining area, assist your staff in fire prevention training, and even refill or replace your fire extinguishers. Lastly, we install, maintain, and repair grease traps to prevent roof deterioration. We’re basically a one-stop-shop for all your needs. To learn more, visit our service pages. Why do you recommend having a clean hood and exhaust system? A couple big reasons. First and foremost, it’s a critical safety precaution. Grease accumulation on any part of the system is a hazard because it’s highly flammable. You don’t want your kitchen going up in flames. If that were to happen, imagine the cost; the structural damage to your building would be immense, you’d lose business while repairs are being done, you’d be sued by your own staff and customers for negligence, and insurance wouldn’t cover any of the damage because their requirement for regular cleanings wasn’t followed. Second, clean vents, filters, fans, and ducts function more efficiently, saving you money on your electrical bill. Which areas or neighborhoods do you serve? Our NYC cleaners serve the entire borough of Brooklyn. Do you clean specific types of restaurants? Not really – we can clean any commercial kitchen. Restaurants call us most often because there’s so many of them, but we’ve also served airports, bars, cafes, cafeterias, hotels, motels, nursing homes, schools, universities, and many more. The cost of hood cleaning varies depending on the size of your commercial kitchen, the condition of your hood and exhaust system, and the specific services you want. When you contact us, we’ll discuss your free estimate. Call us at (347) 492-1153 or email us by filling out the free quote form above.